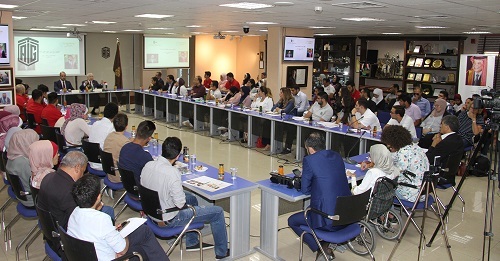 Amman – Talal Abu-Ghazaleh Knowledge Forum (TAGKF) held a panel discussion entitled "Reflection on the Crown Prince’s Speech" in the presence of a large youth gathering under the patronage of Dr. Talal Abu-Ghazaleh. 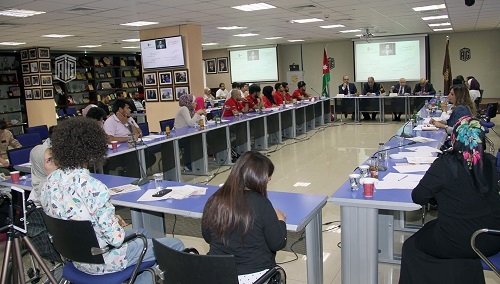 The session timing which coincides with the International Youth Day celebrations was intended to reflect on the speech of His Royal Highness Crown Prince Al Hussein Bin Abdullah recently delivered to the students of Al Hussein Bin Talal University in Ma'an. The speech tackled many topics concerning the youth and the challenges they face. Dr. Talal Abu-Ghazaleh expressed his great pleasure in welcoming the youth in the panel which reflects the royal directives. He emphasized that TAG-Org is fully committed to the vision of His Majesty King Abdullah regarding the important role of the youth should play as leaders of change and in building the desired future for our beloved country. 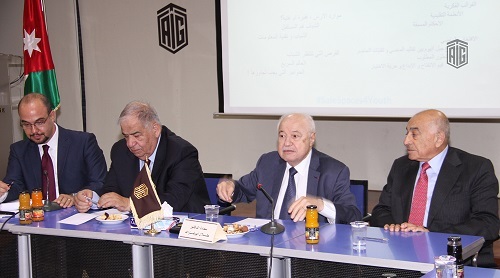 Abu-Ghazaleh affirmed the urgent necessity of changing the prevailing negative mindset by providing the youth with platforms for dialogue and interaction. "The youth must be activated rather than organized” he said, adding “They must take the Crown Prince as their role model and his speech which included positive messages as a motivating force for innovation; creativity and leadership so that they can overcome their challenges, break the stereotypes and ultimately move Jordan forward towards a bright future”. Abu-Ghazaleh also referred to the content of the Prince’s speech affirming the important role of youth saying: "Here comes your turn to build and achieve growth for Jordan by your own way and by using the tools of your age. Each generation has different identity, prospects and challenges." "The world where we live will change for the next generations" Abu-Ghazaleh added; quoting from his book “A Brave Knowledge World” which is due for publication in November. Abu-Ghazaleh praised His Royal Highness's call for continuous development and new methods of thinking. He added: "I understand His Royal Highness's call for knowledge, innovation, leadership and creation. It coincides with the objectives of the Talal Abu-Ghazaleh University College for Innovation (TAGUC) which will start next October." He said that His Royal Highness had identified the road to success by change and renovation. 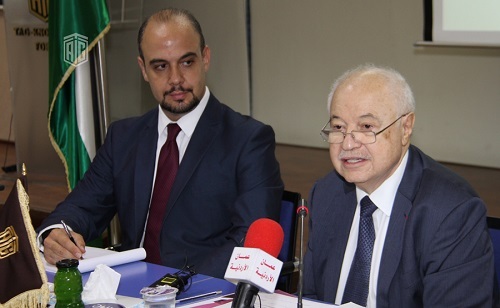 He further highlighted Prince Hussein’s emphasis on the importance of quality in education which also coincides with the mission of Arab Organization for Quality Assurance in Education (AROQA) presided over by HE Dr. Talal Abu-Ghazaleh; and honorably headed by the Secretary General of the Arab League." “Accordingly” Dr. Abu Ghazaleh said, “it is clear that our Organization works perfectly in compliance with the vision of His Royal Highness the Crown Prince”. On his part, Mr. Fadi Daoud, the Education and Youth Advisor in TAG-Org and the President of the Youth Economic Policies Initiative, welcomed the attendees and highly valued the patronage of Dr. Abu-Ghazaleh and his keen on meeting the youth and discussing with them the contents of the Crown Prince's speech which promotes the civil participations of youth and encourage the culture of dialogue and critical thinking in finding solution and making suggestions; for them to face challenges and participate in decision-making. 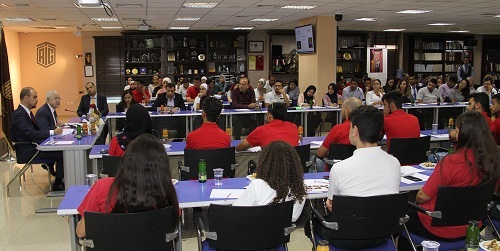 Mr. Daoud also said: "the International Youth Day approved by the UN since 1999 is the day to remember the youth and their active role in the sustainable development. The Youth Day of this year is on the theme "Safe Spaces for Youth" and this reflects TAGKF's provision. It is a safe place for youth meeting and a platform for the communication on their concerns; which encourages them debate and be part of decision making process." People under thirty years old are more than 50% of the world population, and they are 70% of the Kingdom population. The participants presented the most important aspects of the speech of His Royal Highness the Crown Prince. They made several recommendations on the challenges of unemployment, education, economy, knowledge society, leadership and innovation which were submitted to TAGKF to be then referred to the competent authorities and decision makers. They also expressed their thanks and gratitude to TAGKF for organizing such a session and its positive impact on them resulting from their involvement in recommendation submission and communicating their voice to the competent authorities. This shows Dr. Talal Abu-Ghazaleh's believe in the youth and their active role in building the future.